A leaf skeleton my daughter found on our patio . . .
Our theme for the Weekly Photo Challenge this week is: Intricate. Our instructions: What is your interpretation of the word intricate? My daughter and I were doing some spring clean-up on our patio when she found this in a pile of old, decaying leaves. I’m not really sure what to call it. A leaf skeleton? Mother Nature really knows how to pull off intricate, doesn’t she? Apparently, you can make leaf skeletons by boiling leaves in a cauldron of washing soda, and following that with what looks like an unbearably tedious process of brushing off the leaf pulp to reveal the skeleton. No, thank you. I’m quite happy to admire the skeleton Mother Nature made. This image gave me fits! 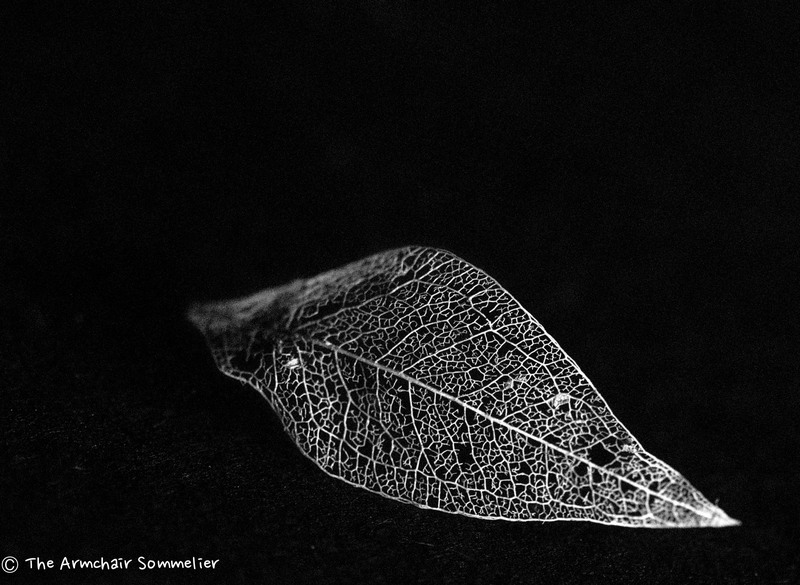 I photographed this silly leaf skeleton six ways from Sunday (black background, white background, sunlight, indirect light, spotlight), and I just wasn’t satisfied. And then I put my camera in manual mode (scary stuff for me). I intended to set the ISO to 100, but didn’t realize my camera was still on Auto-ISO mode, so I ended up with ISO 6400. And I ended up with a happy-ish accident! Post-processing, I put the image into black and white, to emphasize the intricacies. Btw, I did take a handful of images at ISO 100, just for fun. Total fail. They looked like pictures of a black hole in space. Sigh. More camera learning needs to be done! Thanks so much! I couldn’t imagine making one, either. I don’t have the patience! Salud!! Thank you . . . and me, too! Salud! !